The weekend game between Arsenal and Liverpool will be the first in Premier League history to have the pre-match team-talks of both sides broadcast live around the world. We can’t be sure what will be said in the dressing rooms at the Emirates, but there is no doubt that Brendan Rodgers would have preferred to be addressing his players from the comfort of the Anfield changing rooms instead. Liverpool’s poor away form has been a major problem this season, seemingly dropping them out of the race for Champions League spots, while Arsenal have dropped just 5 points on home soil. If we compare the data from Arsenal’s home games with Liverpool’s away games this season, they tell two very different stories. Aided by the unstoppable early form of World Cup star signing Alexis Sanchez, Arsenal’s creativity level has impressed at home. 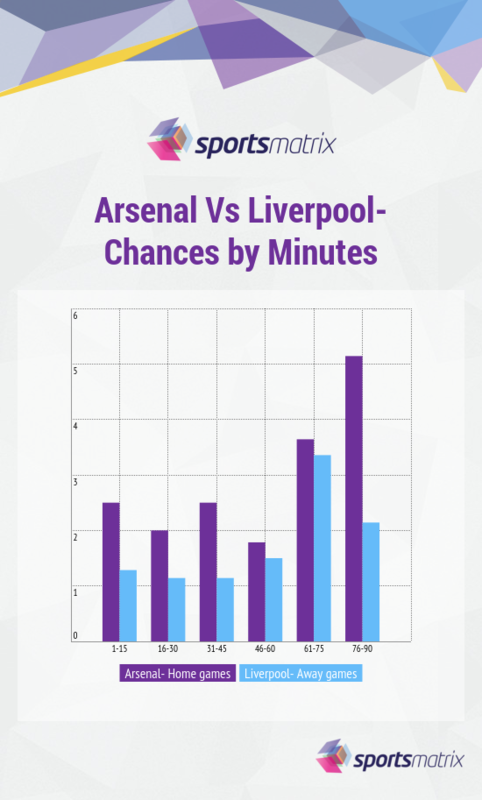 They create more chances than Liverpool in every 15-min period of the game, with an average of over 5 chances in the crucial 76-90 min time period. Sanchez (8.6) is second to Alex Oxlade-Chamberlin (9.9) in terms of the average number of chance creation attempts per game of any Arsenal squad member when they are playing at home. 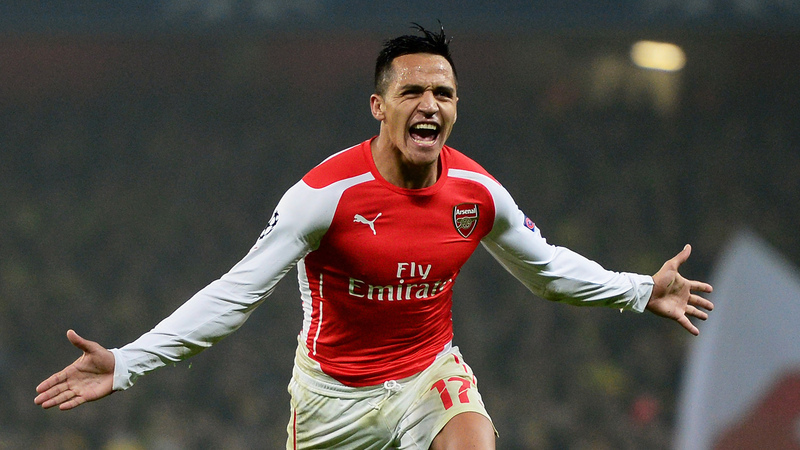 From those attempts, Sanchez (2.9) creates the most chances with Oxlade-Chamberlin (2.5) second. Thomas Rosicky (75%) has the highest success rate from his chance creation attempts. In the engine room, it is clear that Santi Cazorla, who has 2 assists in his last 2 matches, is the man that Liverpool must negate. He averages the highest number of passes delivered (61.8) and 2nd highest number of passes received (61.5) of any Arsenal player that has played in over 5 league home games this season. After a fantastic unbeaten run in 2015, Liverpool were brought back down to earth with a humbling 2-1 home defeat at the hands of bitter rivals Manchester United. It is there poor away form early in the season, however, that has ultimately cost the Reds. In their mission to get back on track, Daniel Sturridge could be a source of hope for the Merseysiders. Since scoring in his return from injury against West Ham United, Sturridge has 4 goals from 7 starts, but he could also be a catalyst in terms of creating opportunities at the Emirates. The England striker creates an average of 2.7 chances in away games. Sturridge also solves the dilemma of a problem position for Liverpool. The other centre-forwards at the club have been sporadic in both form and appearances this season, with Mario Balotelli appearing to be the worst offender. Balotelli averages the most shots per game of any Liverpool striker away from home – 5.6 – but has the lowest ‘good’ shot average – 0.1. While the data stacks up heavily against the 5-time European champions, 3 points in north London would keep their ambitions of making the top four alive for the time being.